An incredible find on Lake Minneola overlooking Lake Minneola at an affordable price; Condominium Living with a great view. 2 Bedroom Condominium on Second Floor. Amenities include Pool, Tennis Court and Docks. An incredible find in Minneola at an affordable price; Small Town Living with lots of Amenities. This low maintenance home is located in the Oaks Condominiums with direct access to Lake Minneola. You will want this home on your âmust seeâ list. Kitchen has pass through open to Dining Room. 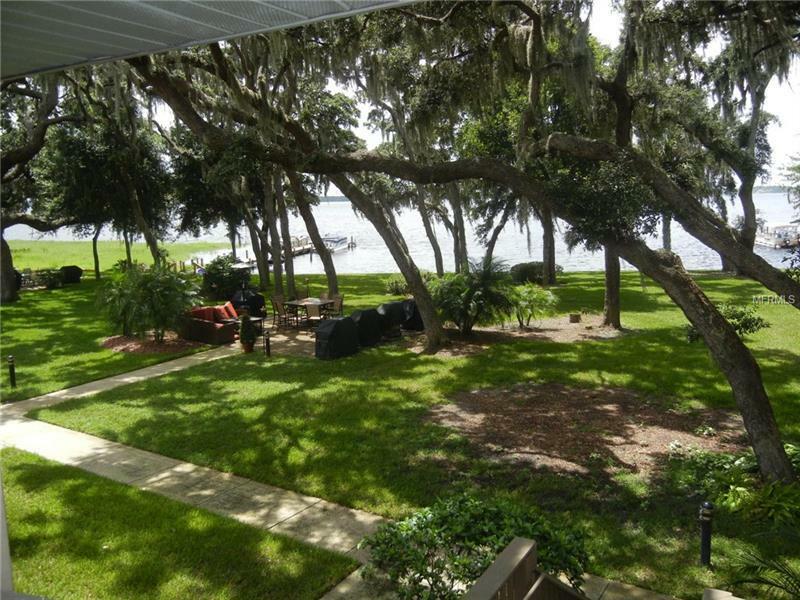 Family room has elevated view of Lake Minneola. Wood and Tile Living and Wet areas with carpeted bedrooms. 1 Car Garage that is 24 feet deep. New range 2017, Refrigerator 2018. Roof under five years old and AC replaced 2008. Updated Master Bath. This community of 42 units features outdoor picnic areas, swimming pool, Tennis Court and Dock. Scenic walking and biking trails meander through South Lake County. 20-40 minute drive to all Orlando attractions! Pet Restrictions: one per household, under 30 pounds.